As noted in this section's menu, there are not many religious topics that are more controversial than that covered in this section. Those written by conservative Christians who feel profoundly threatened that such links might exist. Many of these authors simply deny that any links exist. Those written by skeptics who are motivated by a desire to ridicule or attack Christianity, and are driven to wild claims. One result is that customers of Amazon who submit reviews sometimes rate these books as either 1 (garbage; the minimum rating) or 5 (superb; the maximum rating), with few intermediate ratings. What is badly needed is an academic, study of the Yeshua-Pagan links by a religious historians with no axe to grind. These are rare and not necessarily easily identified. 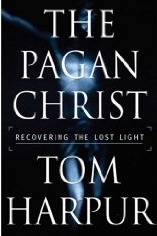 The results of an Amazon.com data base search for books dealing with "Pagan Christ:"
"Destined to be a classic enjoyed by both the professional scholar and the lay person, this comparative religion book contains a startling perspective of the extraordinary history of the Egyptian religion and its profound influence upon the later Christian faith. "Christ in Egypt: The Horus-Jesus Connection" uses a massive amount of primary sources and the works of highly credentialed authorities in relevant fields to demonstrate that the popular gods Horus and Jesus possessed many characteristics and attributes in common. Drawing from thousands of ancient Egyptian texts in an assortment of translations along with the original language, as well as modern research in a number of other languages, controversial independent scholar of comparative religion and mythology D.M. Murdock puts together an astonishing amount of fascinating information that shows many of our most cherished religious beliefs and concepts did not appear suddenly out of the blue but have long histories in numerous cultures found around the globe, including and especially in the glorious Land of the Pharaohs. D.M. Murdock, also known as "Acharya S," is the author of the bestselling books "The Christ Conspiracy: The Greatest Story Ever Sold"; "Suns of God: Krishna, Buddha and Christ Unveiled"; and "Who Was Jesus? Fingerprints of The Christ." Ms Murdock's books focus largely on the history and origins of religion, dating back thousands of years and encompassing religious ideologies and beliefs of a wide variety that nevertheless reveal common cultural heritage and a keen interest in and reverence for the natural world." "Nothing is new or original in Christianity. That is the important thesis demonstrated in Christianity Before Christ. The least important features, as well as the most important components, were all well developed in cultures that flourished before the time that Christ is alleged to have walked the parched paths of Roman Palestine." "With a Foreword by Frank R. Zindler, the editor of American Atheist press, the book has 12 major chapters, plus Bibliography, Subject Index, and numerous pen-and-ink illustrations." "Massey was an Egyptologist who wrote a tremendous body of scholarly work. He concluded that much of Christianity and its belief structure was rooted in ancient Egyptian mythology. At first this sounds strange, but a large number of people have agreed, including some of the most respected scholars and researchers in the field of religious studies. If you want a different and compelling view of Christianity and its roots, this is the book to read." This astonishing book completely undermines the traditional history of Christianity that has been perpetuated for centuries by the Church. Drawing on the cutting edge of modern scholarship, authors Tim Freke and Peter Gandy present overwhelming evidence that the Jesus of the New Testament is a mythical figure. Far from being eyewitness accounts, as is traditionally held, the Gospels are actually Jewish adaptations of ancient Pagan myths of the dying and resurrecting godman Osiris-Dionysus. The supernatural story of Jesus is not the history of a miraculous Messiah, but a carefully crafted spiritual allegory designed to guide initiates on a journey of mystical discovery. A little more than a century ago most people believed that the strange story of Adam and Eve was history; today it is understood to be a myth. Within a few decades, Freke and Gandy argue, we will likewise be amazed that the fabulous story of God incarnate -- who was born of a virgin, who turned water into wine, and who rose from the dead -- could have been interpreted as anything but a profound parable.